TETRA ‘s Escape is the latest offering from Finnish easy platinum specialists Ratalaika Games. They’ve put out a golf game (of sorts), a hack and slash rogue-like and a Space Invaders clone and this game is another new genre for them. 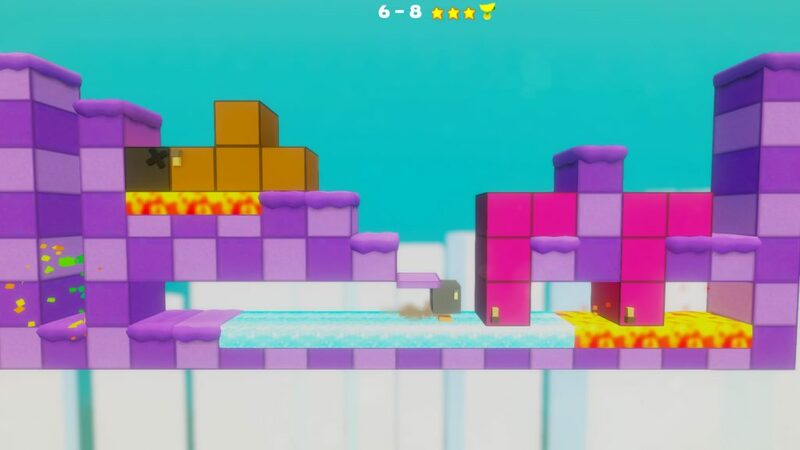 What you get here is a 2D puzzle game that looks a little like a platformer but there’s no requirement for dexterity here. It’ll be your brain that gets the work out. You play as one or more little blocks called Tetras. If you can get one of them to the exit, you’ll beat the level. However, your basic manoeuvrability is pretty lacking. 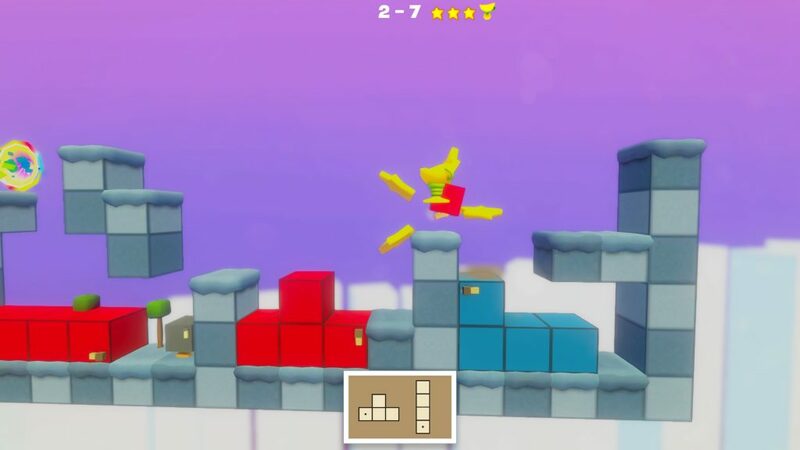 You can walk left and right and jump/climb onto blocks that are one unit high. Anything more than that and your Tetra will protest and refuse to move. They are called Tetras for a reason though as many of them can form into tetraminos, the shapes used in the game Tetris. The can be us ed to create steps or bridges to help you along your way and as you only need one Tetra to escape, you’ve got some wiggle room when it comes to progressing. 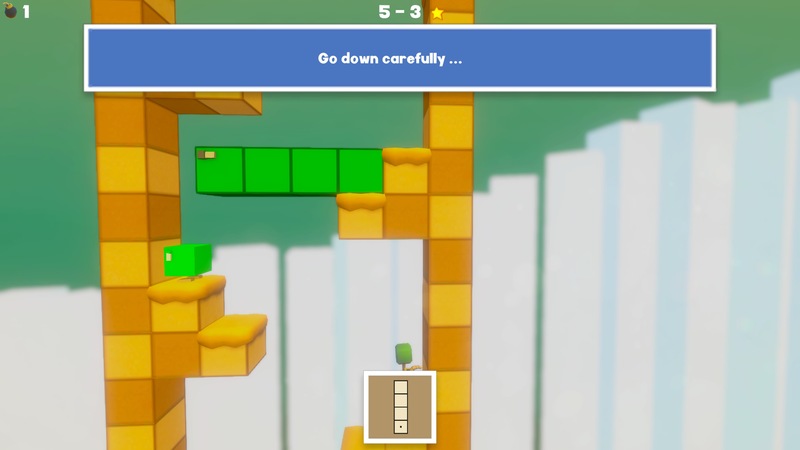 As is typical for this type of game, new gameplay elements are added as you progress such as being able to bomb pieces you’ve placed in order to reuse them or creating blocks by falling more than three units down. Although we tend to not like that kind of thing because it can make a game feel like an extended tuturial, we did appreciate the variation it offered. Completing the level is only part of the puzzling though. 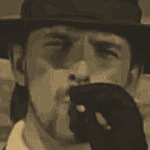 Completionists will want to grab the three medals on offer on each level and doing that will also make a cup appear. Grabbing these adds a little bit of additional trickery to the level, making you work a little harder for that perfect solution. Ratalaika Games have a reputation for very easy platinum medals and while this game is no different, there is more of a challenge in this game than their previous ones. Sure, you still only need to beat some but not all of the levels to get that platinum (a weird quirk of their games) and if you get stuck you can look to the internet for the solution but puzzle fans will enjoy the problems this game sets them. The levels are short but devious without being too fiendish. That said, it does take a while for the game to start taxing you and there are only 64 levels on offer. While the game definitely offers a bit more meat on the bone than other games from this publisher, the presentation isn’t quite up their standards. Visually the game is pretty bland, sporting the kind of simplistic graphics you’d expect to see on a mobile or Flash game while the chirpy soundtrack soon becomes uncomfortably repetitive. Trophy hunters and oft-ignored Vita owners will pleased to see that, like Ratalaika’s other titles, this is a cross-buy game with separate trophy lists for PS4 and PS Vita. So you get two easy platinums for your money and arguably the game is more obviously suited to handheld play than expanded out on a big 4K screen. There’s not much else that we can say about TETRA’s Escape. There’s not too much wrong with it. The controls work well, the levels are quite well-designed and puzzle fans might enjoy it. However, there’s nothing great about the game either and the sub-par presentation does little to liven up what is already fairly ordinary gameplay. That said, it is nice to have a proper puzzle game to play that doesn’t focus on arcade skills. Ratalaika's latest is a reasonably good puzzle game but we suspect they are targeting trophy hunters over puzzle aficionados.